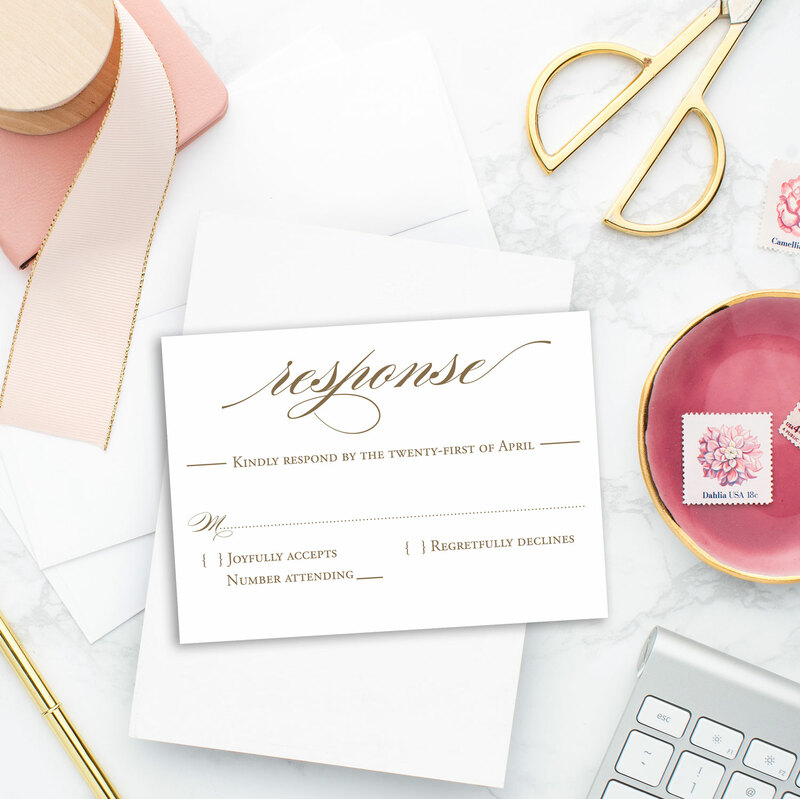 RSVP cards serve a very important purpose... to get questions answered. Many times your only question is - are you attending our wedding? Other times your question is - are you attending? And what are you eating? 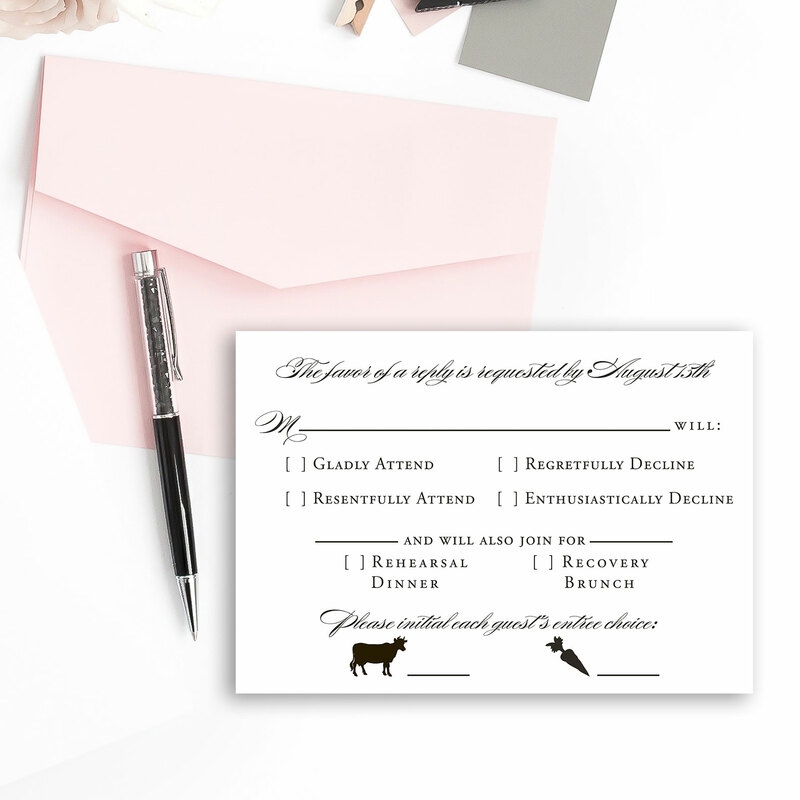 And then there are those RSVP cards that need a lot of information. Attending brunch? 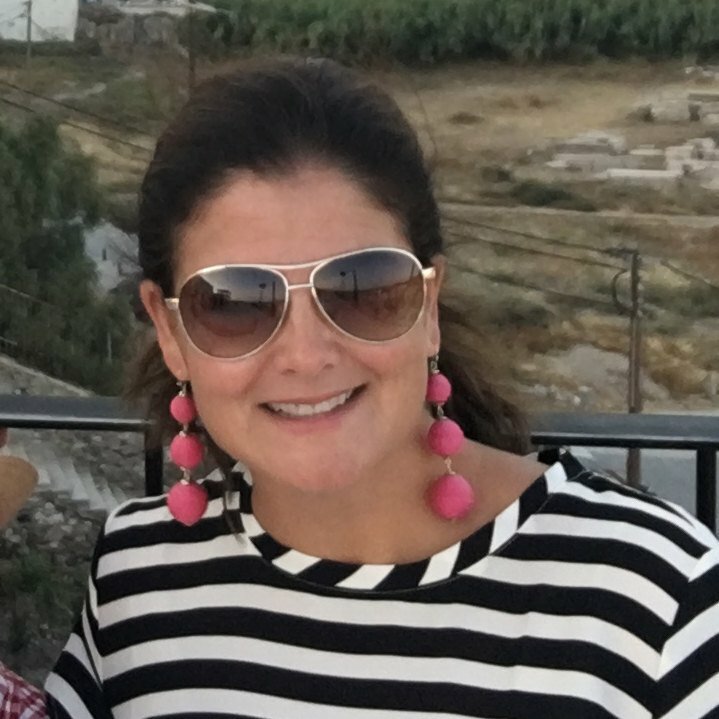 Attending welcome party? Need the welcome party shuttle? And it's also a fun place to express your personality! 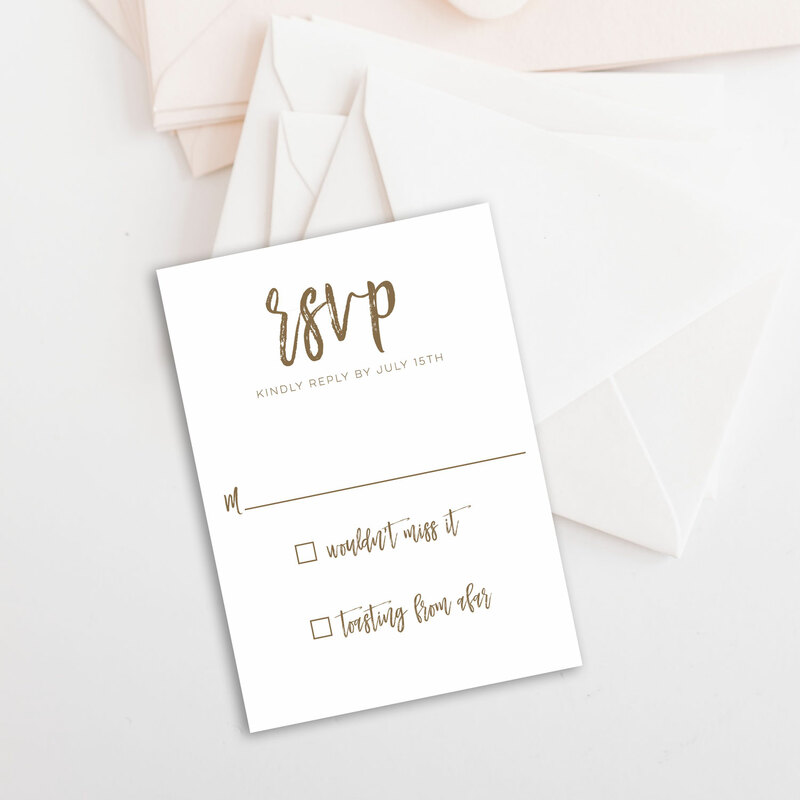 This RSVP card (above) is sweet and simple. 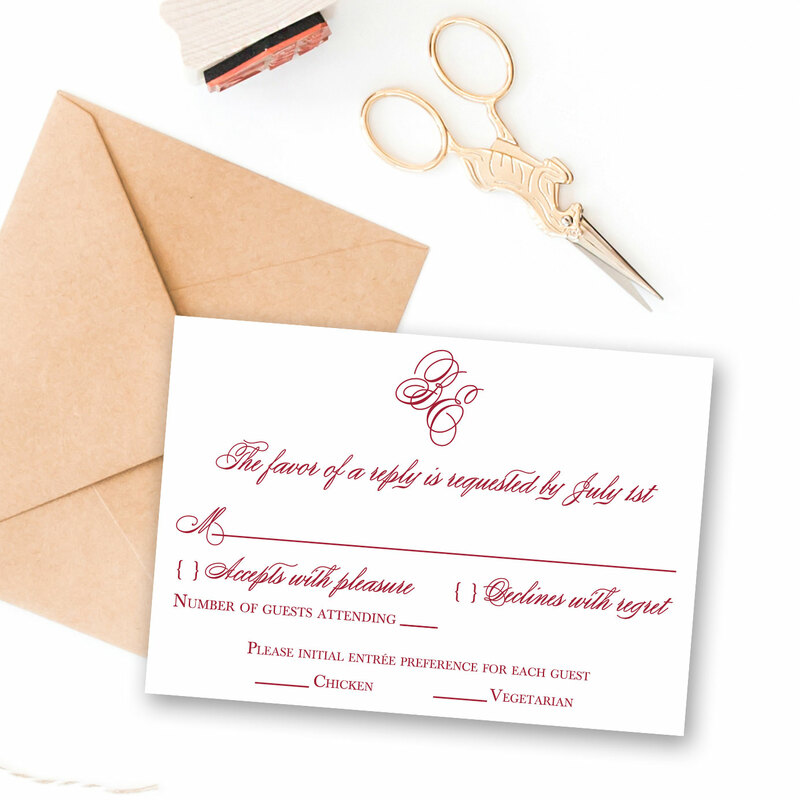 On this card, we only need to know if the guests are attending. 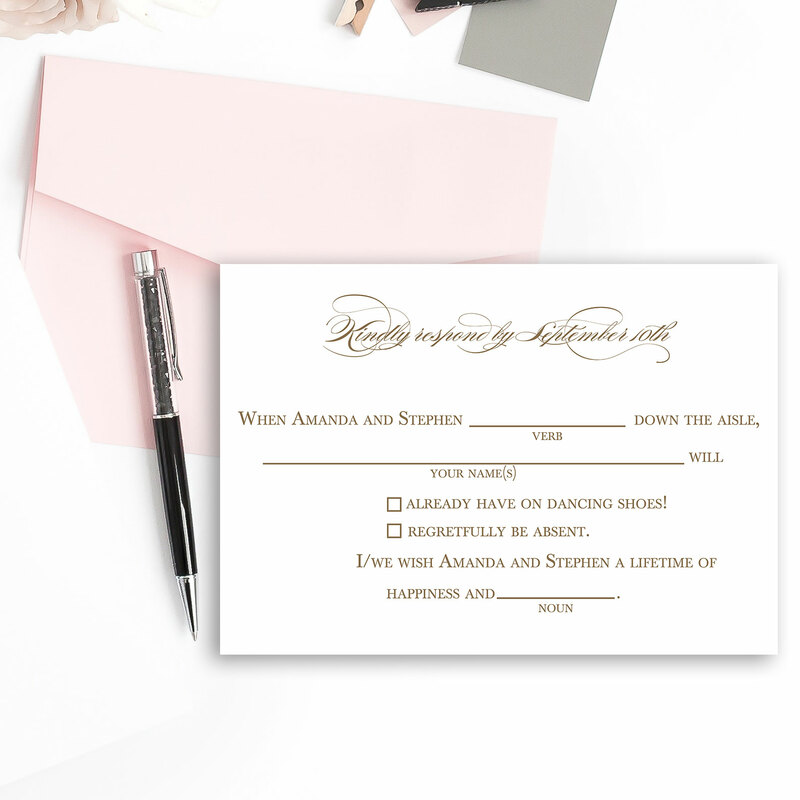 But in this case, the rsvp wording is playful and fun. Graphics for your food choices? No problem. This is also a great example of cheeky wording. I love how the couple's playful personalities shine in this example. 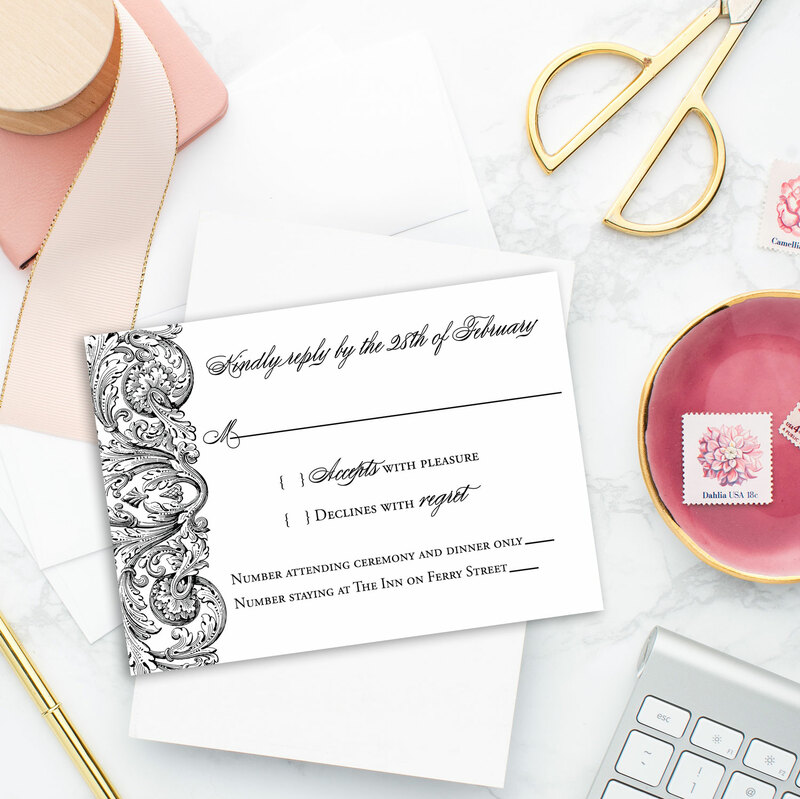 One question I get often is about fitting all the needed questions on your rsvp card. 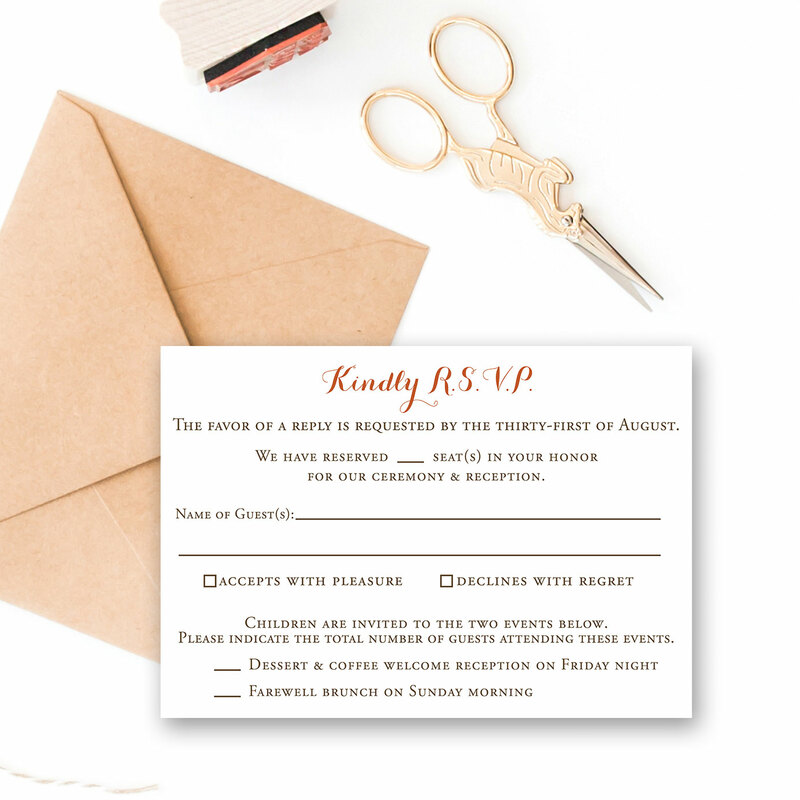 After designing invitations for over 10 years, I definitely have a knack at making all your rsvp card wording fit. In this sample we brought in a design element with the font highlighting "accepts" and "regret". The reason for this is that many times you'll need to know who is eating what. So rather than having a couple put a check next to the entree, initials mean you'll know who should be served which dish. And then there is the mad lib RSVP card. This is not only playful but they are also really fun for the bride and groom to get back and make great keepsakes.